For many countries the physical transport infrastructure is critical to the economy, with ports forming a gateway for the majority of trade, and rail and road used to distribute goods. Airlines are crucial to the tourism industry. Whilst the focus of cyber-defense is on financial networks and the power grid, recent incidents illustrate that the transport infrastructure is also susceptible to cyber-attacks. The chapter provides an overview of cyber-security incidents related to the transportation sector, and analyses the reports of the incidents to illustrate the prevalence of threat types and impact. 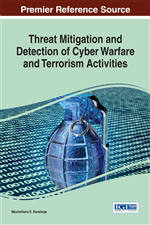 The chapter then discusses some efforts to mitigate the threats in terms of regulations, threat intelligence and information sharing, and awareness training. Cyber-defense has focused on the financial and electric power grids due to the potentially catastrophic outcomes should a major cyber-attack on those infrastructures cause widespread damage. More recently, more focus has been applied to the cyber-security of the physical transport sector. Whilst this infrastructure may not be considered as critical as the power or financial systems, international trade and employees travelling to work depend on the transportation. Military deployments are also dependent on the infrastructure, although it may not be interconnected with the civilian versions. Cyber-attacks on this sector therefore could have severe implications for national economies and international trade. Hughes, quoted in Stelter (2015), indicates that the threats faced by a nation were different when transport infrastructure was built. Similar to other critical infrastructure, many of the IT systems for the transport sector were designed assuming that the Internet and those online could be trusted, therefore there is a lack of inherent cyber-security. Combining this vulnerability with the fact that the World Economic Forum (2015) listed cyber-attacks and critical infrastructure failure in the top risks, it is evident that there is a need to investigate cyber-attacks targeting the transportation sector. Proof of concept of vulnerabilities and/or attack methods that researchers develop. The incidents under consideration are described in the next section. Thereafter the analysis provides the tabulated number of occurrences for each threat type and impact per sector, as well as the impacts for each threat type. A timeline of the number of incidents is also provided. The chapter will then go on to describe attempts being made to mitigate cyber-threats against the sector. There are multiple reasons for conducting cyber-attacks against the transportation sector. Due to the reliance of trade on the sector, an attack could be used to affect trade in general, or even target a specific commodity. Due to the interdependence of the various transport infrastructures, there are a variety of targets to impact on the trade: railways or roads could be targeted to prevent goods reaching the ports, and disrupting the ports themselves would hinder any import or export. Airports can be targeted to affect tourism. Similarly, disrupting operations could delay military deployments. Cyber-attacks could potentially be seen as the modern version of a naval blockade, however possible at a fraction of the cost. Cyber-criminals would gain from fraud due to the large financial transfers involved.